Are you tired of the hassle of wires, then don’t take tension now technology gives a solution, yes now you can charge you products by using wireless chargers. Yes, yes it is absolutely true. Now you can charge your electronic device from a range of 8 feet. This system is known as Witricity, and now it will be use in mobile phones, tablet computers from this year. This mean that now mobile phone holders not waste their times in finding chargers because this American Company system can charge your mobile phones and devices even they are in your bag. And soon this technology will be use and built-in in other devices like vacuum cleaners, etc. And then turn of electric cars comes. You don’t need to connect your devices with charger. It uses resonator peters. And you can charge your devices by Receiver Coil Magnetic field power from home. From this year it will be available In small game consoles and small computers. Means these devices also will use Receiver Coil batteries. 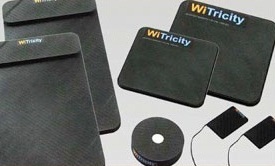 This device is being made by WITRICITY Company Massachusetts. According to company that the technology which is using in advanced Electric tooth brushes is also use to charge device after some advancements. In tooth brush this system not works on bigger range, because its coil is not such powerful like witricity invention, and that’s why now it can easily be working from far. Taiwan Company gives help to invent coil. So in result without connecting charger to switch board and charge electronic devices makes more easier over daily lives.